Castlegrace Paddy may be headed for Aintree next after his encouraging run in the Betway Queen Mother Champion Chase. Pat Fahy’s charge sprang to prominence with a Grade Two Hilly Way Chase win at Cork in December but arrived at Cheltenham last week after a fall at Leopardstown in February. As a 25-1 chance, the eight-year-old got himself back on track, finishing less than 20 lengths behind the mighty Altior at a course connections believe perhaps did not suit him ideally. A trip to Liverpool is therefore in the offing. “We’re going to consider Aintree (for the JLT, registered as the Melling Chase),” added Foley. “We hope we’ll get a bit of rain – he needs soft ground. The absence of the brilliant Altior would be handy too, Foley admits. “Hopefully Altior will go somewhere else, and we’ll see how he gets on there,” he said. Warmer weather may apparently be a reason for that. “He’s quite an allergic horse – when you get into the spring he tends to disappoint,” said Foley. “He’ll likely be left for the soft-ground, two-mile graded chases next winter. “He was impressive in the Hilly Way when he was nice and fresh and able to dominate. The ground was too fast for him at Christmas, but he ran very well in the Grade One. 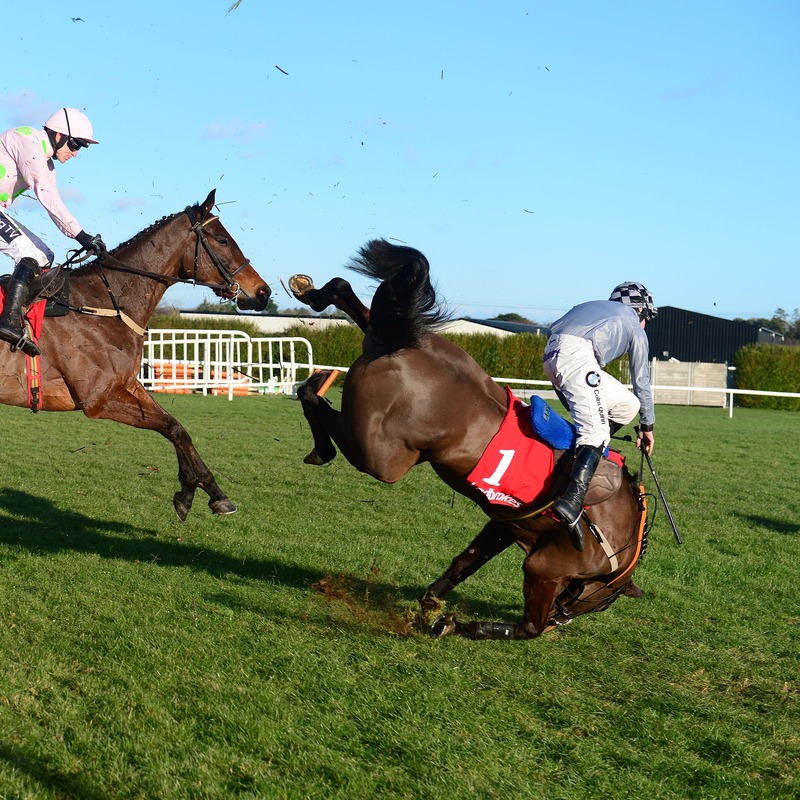 “(Then) he was lucky not to hurt himself badly when he fell at the Dublin Racing Festival. Castlegrace Paddy’s Champion Chase run pleased connections too. “He cruised away and jumped away great,” said Foley. “(Jockey) Davy (Russell) got a great spin off him and was delighted with him. “Considering the bad fall he took at Leopardstown on his previous run, we were delighted with the way he jumped.